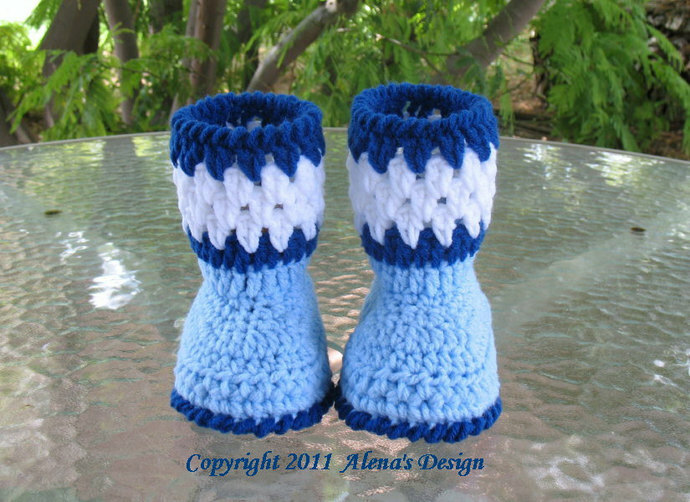 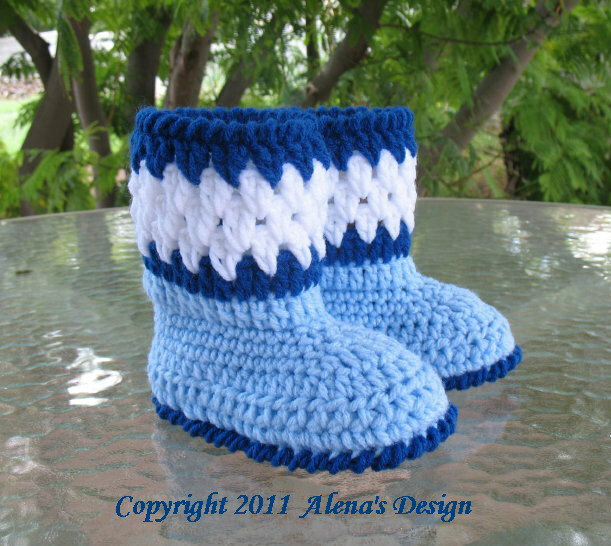 You are welcome to make my Crochet Toddler Booties which are 100% acrylic material for both warmth and softness. 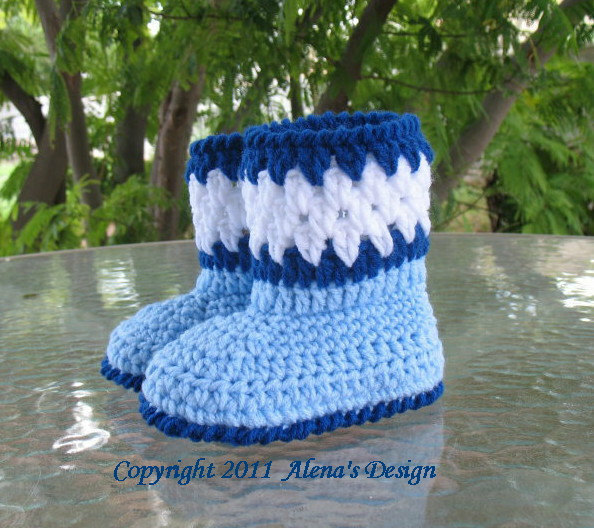 Contrasting color patterns make this booties look cute and adorable while keeping your childâs feet nice and toasty. 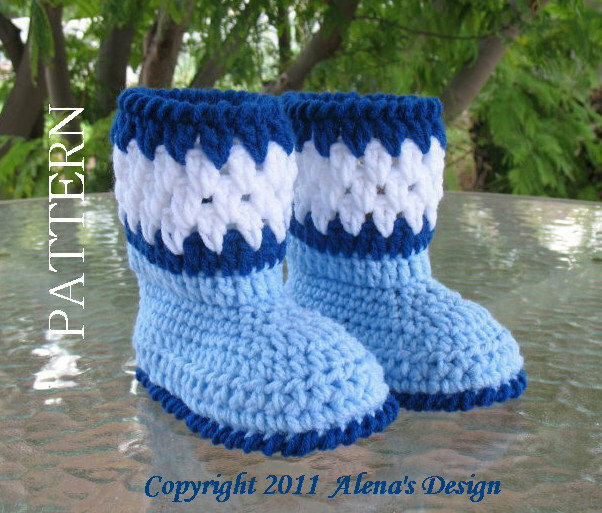 Also, the pattern is double soled for comfort, and has complete toe reinforcement to help them retain their charming shape and durability.